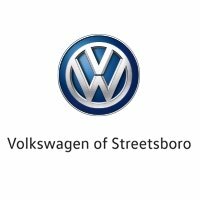 Welcome to Volkswagen of Streetsboro, where you’ll find some of the most experienced, dedicated auto repair technicians in the state. We take vehicle repairs seriously and specialize in all makes and models Volkswagen vehicles but also service other manufactures models as well. When we service your vehicle, rest assured your work is completed thoroughly and efficiently so you can enjoy life with your car, not scheduling repair appointments. We’d love to schedule your next service appointment, answer questions, or otherwise help you learn more about our proficient repair services when your vehicle needs the care only an expert can provide. If your vehicle is making strange noises, operating less than satisfactory, or if you need a preventative maintenance tune-up, we have a technician ready to provide improve your overall vehicle satisfaction. We offer minor and major repair service, tune-ups, preventative maintenance, and so much more. Our technicians receive regular training so they’re always up-to-date with the latest problems and the best repair techniques. We can just as easily replace the rotor as we can change the tires or rebuild a transmission. No matter what type of issues you’re experiencing, rest assured we’ll take away the problem when you bring in your vehicle for service. No matter how well-trained the auto repair technicians, the repair is only as good as the parts used. As a service center that seeks to provide each and every customer we serve with top-notch repairs, we only use OEM parts in our service center. Quality OEM parts are made to fit your specific make and model vehicle, offer a longer lifetime and come with a warranty. Cheap aftermarket parts may not last for a week after they’re put in the vehicle and they do not include a warranty. Using OEM parts on our repairs is further assurance that we handle your repairs the right way, adding more peace of mind that your service exceeds expectations.